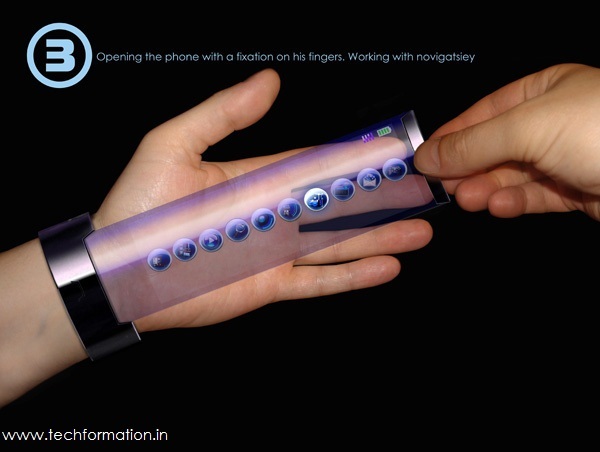 Previously, I have written about a wrist phone concept that is about to arrive from Samsung. 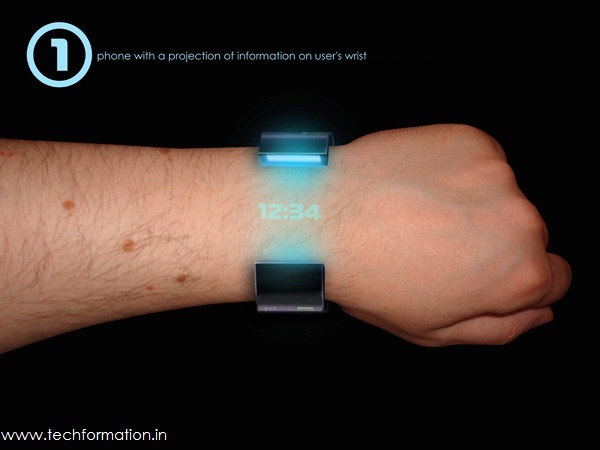 That one is a normal watch phone concept. Now it's time to go some thing beyond. 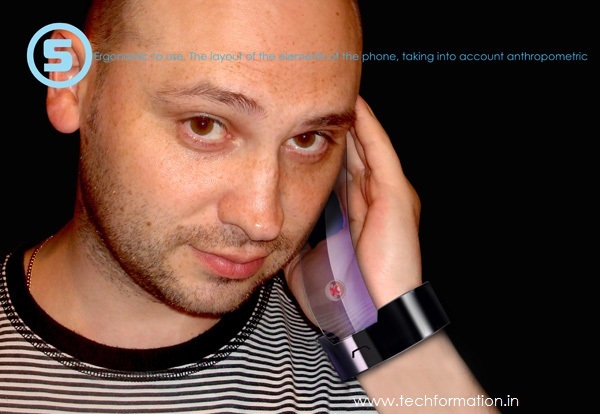 A phone that looks like a wrist band or any fashionable bracelet or ring. 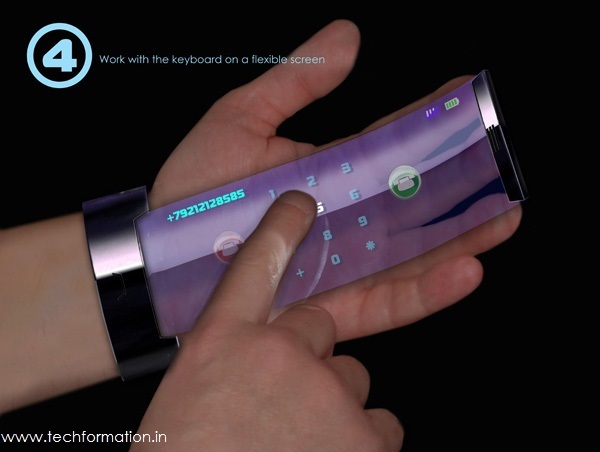 This concept is named as Rollerphone by its designer. This eye catching gadget serves many features. Mainly it has no direct display. 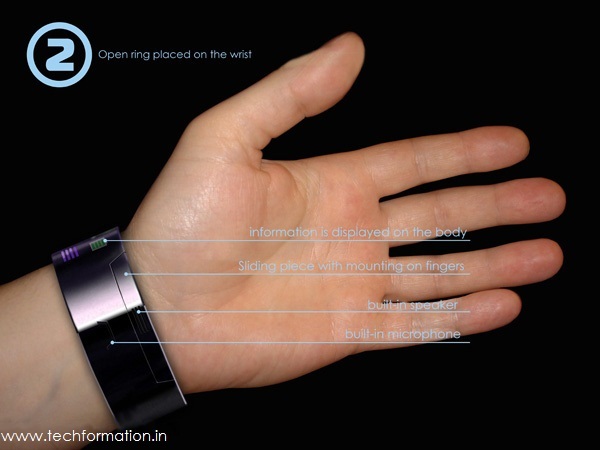 It showcases virtual display through laser rays upon the user's hand or between the device's ends. It is a unique phone which has all the features and with trendy look. It can be worn for every occasion. Also it has feather touch interface for the control and usage of the phone. It even has built in speaker and microphone, and a sliding piece which can be dragged outside for an interface to make calls and to converse over the phone.